From Oct 4 - Oct 7, the Four Seasons Resort Hualalai will play host to Chef Fest, a culinary experience featuring high profile dinners paired with wine, food and wine tastings, interactive cooking classes and special cocktail experiences with top mixologists. Attendees will also have the opportunity to get cooking tips from top chefs Neal Fraser, Andy Ricker, Jonathan Waxman and others. 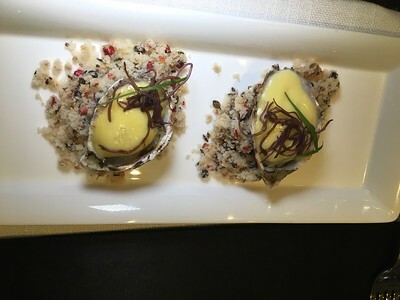 I recently attended an advanced tasting of this year’s Chef Fest at Redbird in LA. 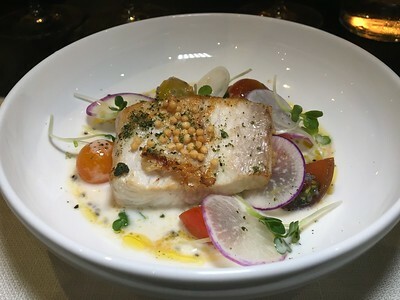 Executive Chef Neal Fraser (Redbird) and Executive Chef Thomas Bellec (Four Seasons Resort Hualalai) were on hand to prepare a five-course meal paired with wine that evening. 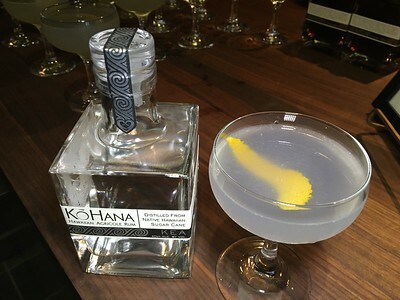 We were greeted with island cocktails made with Ko Hana Agricole Rum (made by Manulele Distillers in Oahu). During that time, I had an opportunity to speak with both Fraser and Bellec. I found them both to be down to earth and personable. Bellec was previously the executive chef at the Beverly Wilshire and is classically French trained. We had a good conversation about food sourcing and I learned that 75% of the ingredients used at the Four Seasons Resort Hualalai are obtained from local farms. We started with the Oysters Brûlée. Bellec made the preparation entertaining as he used a large butane torch to scorch the fresh oysters. They were topped with yuzu curd and finger lime caviar. The taste was unique as it was slightly tart with a mild smoke flavor. 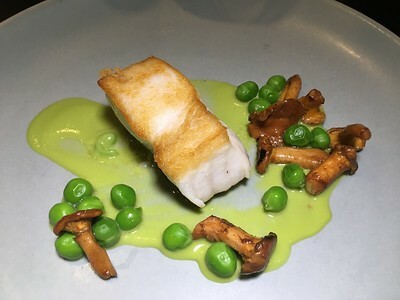 Monchong was sliced into perfect rectangles and was plated on a colorful dish with chanterelle mushrooms and english peas. The fish was firm in texture, yet flaky inside which makes it the perfect fish to grill because it won’t fall apart. A marinated Kona Kampachi was our third course. This premium grade yellowtail was topped with pickled ogo (Hawaiian seaweed), heirloom tomatoes, radishes, baby cilantro and smoked lava salt. The fish was delicate, extremely fresh and tasty. Both the monchong and the kampachi are high in omega-3 fatty acids making them heart healthy. Rounding up the seafood was a colorful Kinki Fish. 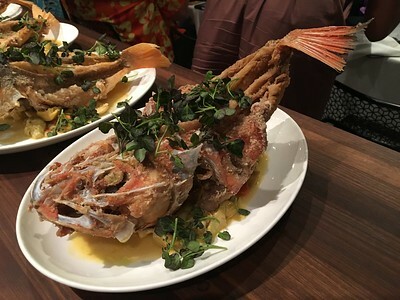 The fish was deep fried and seasoned with Vietnamese fish sauce. It was served with a delicious artichokes barigoule. The fish was moist and flavorful. I especially liked the wine and garlic flavor of the barigoule. 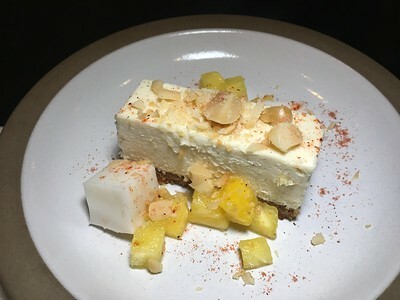 For dessert we enjoyed a Roasted Pineapple Cheesecake. In a traditional Hawaiian style, it was made with haupia and macadamia nuts. Eating it made me feel like I was on the islands. Each dish was carefully paired with a different wine. These white wines originated from California, Austria, Italy and Germany. Some were more acidic than others due to the oil content of the fish. I thought the wine complemented each dish very well. Chef Fest is where top chefs meet in paradise. If you are interested in this amazing experience, call (808) 325-8000 to reserve your tickets. Events are open to registered guests with the exception of the Chef Fest Grand Tasting held Wednesday, October 4th, which is available to outside guests. The Four Seasons Hualalai is a luxury resort complete with a 28,000-square-foot Hualalai Spa and an 18-hole Jack Nicklaus signature golf course. In addition, the Hualalai Tennis Club offers eight Rebound Ace surface courts, two of which are lighted for evening play.